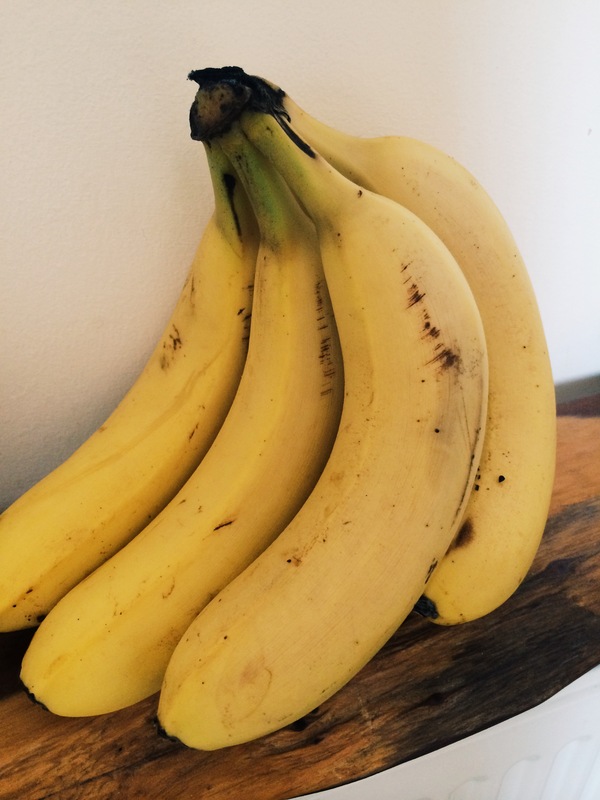 28 Mar All hail the banana: A tasty, low-carbon, plastic-free, healthy snack!! I recently flipped through Mike Berners-Lee’s “How Bad are Bananas”, where hundreds of actions have been calculated in terms of their carbon impact on the planet. Well worth the read for those of you who are interested, and it covers a huge range of things – from text messages to nuclear war. Bananas are apparently an amazing low-carbon snack, despite being grown halfway across the world. The reason for this is that they are grown in natural sunlight, they are picked before ripe and are shipped to their destination (as opposed to air-freight, which is incredibly carbon-intensive) and finally, my favourite part, they come in their own packaging, which is totally biodegradable! Amazing. If you like bananas, please choose fair trade and organic to avoid the Cavendish variation, which uses genetic adaptation to create huge yields of bananas with lots of health-degrading pesticides that can devastate plantation workers’ health.